There are some days where you just want some peace and quiet. Most of the time though, you want to be listening to music, and lots of it. The method in which you listen to your tunes has to change quite frequently as you are often thrust into different situations. You can’t blast your jams through speakers on the bus, and there’s really no need to use headphones at home. While there are a myriad of different earphones, sound systems, and other eardrum-shattering ways to listen to music, wouldn’t it be nice if everything was all in one place? 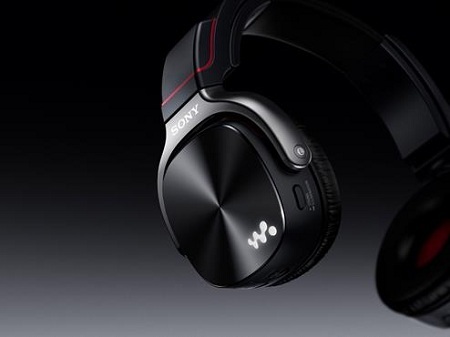 Sony has just recently revealed its new 3-in-1 Walkman Headphones. Seeing as I only associate ‘walkman’ with a portable cassette player, the idea of what they might provide nowadays was intriguing. There are two different models, and both are capable of being an MP3 player, headphones, and speakers. The NWZ-WH505 is the ‘bigger and better’ option that will give you 16GB of storage (about 4,000 songs), 40mm drivers, and is supposed to have an LED backlit logo. The WH303 offers a fourth of the storage at 4GB, and the drivers are 30mm. This will also have the backlighting for the logo, and both are capable of running for 20 hours on one charge. If you’re in a rush, you can get one hour of play time from a 3 minute charge. Their pricing is not available at the moment, but given the timing of releasing this information, you can expect that we’ll know more in the coming weeks, and see it available before the end of the year.